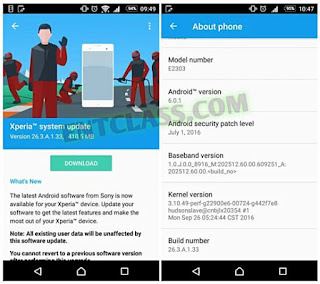 Sony Xperia M4 Aqua has started receiving a new Android security patch update for the month of July, 2016. 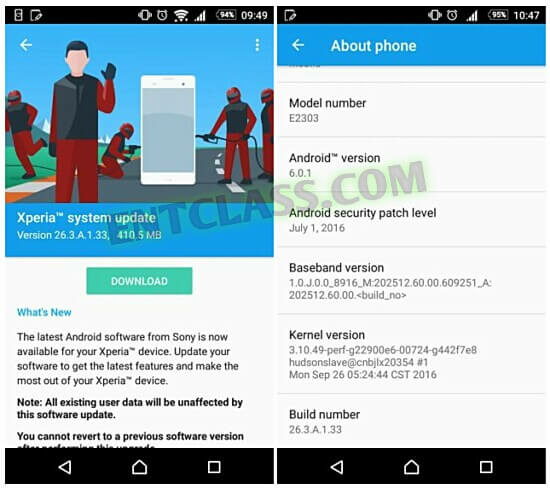 The update is currently hitting all Xperia M4 Aqua variants, and the update bumps a new build number from 26.3.X.0.131 to 26.3.X.1.33. It's worth mentioning that the update has started rolling out and it may take some little time to hit your Xperia M4 Aqua. Meanwhile, if you feel impatient, you can manually check for the update by heading to your phone's Settings => About Phone => System Update.